Are tobacco-free employers prohibiting e-cigs? Yesterday I was asked what are policy is on e-cigarettes. Hmmm, I should have anticipated that question, but I had not even contemplated it. ASHA has been a smoke-free workplace for many years. When we moved to our current office in 2007, we expended the prohibition to become a smoke-free property. I guess now it's time for us to choose a stance on vaping in the office. 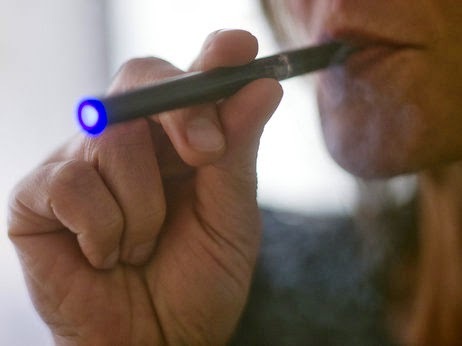 The use of electronic cigarettes (e-cigarettes or e-cigs) is on the rise. They were first introduced in China in 2004. E-cigarettes are not currently subject to FDA limitations because they're not considered drug or medical devices. The FDA announced that it would issue proposed rules in November 2013, but they have not been released yet. Most agree that e-cigarettes seem to be safer than combustible ones, but the health impact of inhaling nicotine mixed with food-grade vapors is not yet known. There have been no conclusive studies to date. "half of respondents (50 percent) say that their organization has not addressed e-cigarettes in their smoking policy—and close to a third of respondents (31 percent) say they haven’t thought about it yet!" I'm recommending that ASHA ban the use of e-cigarettes in the office. Anything less just feels like a step backwards. I'm also recommending that we expand our current smoke-free policy to a tobacco-free policy. I'm not sure why we went with smoke-free rather than tobacco-free to begin with, but my theory is that it just never came up. You don't see many people chewing tobacco in the Washington, DC metro area and it's never been an issue for us. Take a look at some of these articles and share your thoughts in the comments below. The RAND study concluded that "Participation in a wellness program over five years is associated with lower health care costs and decreasing health care use. The average annual difference is an estimated $157, but the change is not statistically significant." The PepsiCo study demonstrated: "When we looked at each component [disease management and lifestyle management] individually, we found that the disease management component was associated with lower costs and that the lifestyle management component was not. We estimate disease management to reduce health care costs by $136 per member per month, driven by a 29 percent reduction in hospital admissions." Here's my take. First, wellness programs are the right thing to do. And, no one disagrees that done well, they send a strong message that you care about your employees. There is also a lot of agreement that they have a positive impact on engagement and help you recruit and retain people that want to work in a healthy environment. Wellness programs may positively impact attendance and productivity too, but the evidence there is not as strong. Second, you have to know your workforce. Carol Harnett reported that another thought leader, Dee Edington concluded, "on average, the best-performing wellness program in terms of return-on-investment was a smoking cessation initiative. The caveat, however, was that it takes -- on average -- about eight years before a positive ROI is captured. For all the other wellness-related schemes, approximately 16 years must go by before you realize a return on the money spent." When I look at those numbers, I'm not so quick to shrug them off. Our average tenure is 8.5 years, so we have a lot of staff members that have been at ASHA more than 16 years. We also provide health insurance coverage to our retirees, so we have a very long term investment in the health of our staff. We focus on making the healthy choice the easy choice and implementing wellness initiatives that are tailored to our staff and our needs. Matter-of-fact, that's what James Sumortin from Twitter and I just talked about during our presentation at the Health and Benefits Leadership Conference. Third, there is general agreement that 20% of the members of a health plan are responsible for 80% of the claims in any given year. There are valuable programs like disease management (if you believe the PepsiCo study) and Centers of Excellence that target this 20% and direct them toward high quality care (which is also cost effective.) But, 59% of the next years top 20% are in this years 80%. We have to develop interventions that stop the migration of people from the healthy 80% into the unhealthy 20%. Aaron Davis and I discussed this over lunch last Friday and this is what his company Switchbridge is focused on. My take on all this is filtered through a population health mindset. I just read What Great Corporate Wellness Programs Do. In the introduction, the authors suggest that workplaces have a unique power to reframe the mindset around health. That got me to thinking about the effect smoke-free workplaces have on smoking behavior. Studies prove that smoke-free workplaces encourage smokers to quit or reduce consumption. "Totally smoke-free workplaces are associated with reductions in prevalence of smoking of 3.8% ... and 3.1 ... fewer cigarettes smoked per day per continuing smoker... If all workplaces became smoke-free, consumption per capita in the entire population would drop by 4.5% in the United States and 7.6% in the United Kingdom..."
I'm a believer that it takes a village. Employers have the opportunity to create little Blue Zones within their workplaces and influence what goes on in the communities where they're located. If we do, maybe we'll see obesity trends start to fall the way that smoking has declined. My 10 Takeaways from the CoHealth Interview with RAND’s Soeren Mattke by Bob Merberg -- Search Bob's blog for other thought provoking posts on the ROI of wellness. 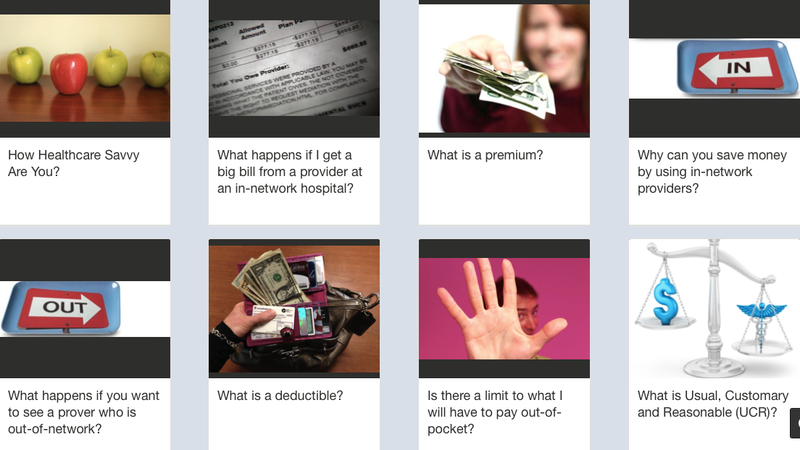 At the beginning of the year, I shared a story about how I created a presentation to help my friends become more Healthcare Savvy. Vlad Gyster and Kate Bernier at Airbo saw it and offered to help me create this deck of tiles with the material to share it with others. I’m finding myself on sort of a mission to help the ASHA staff, my friends and family, and others understand how their health insurance coverage works, chose a plan that’s the right fit for their needs and get the most out of their coverage when they need it. Take a few minutes to flip through the tiles to test your knowledge. I’ll be adding and editing as I gain insights into what’s most useful to people, so please revisit them if you find them helpful. And, please share your feedback with me. Learn more about how we're using Airbo as a communication tool at ASHA. (Airbo used to be called H.Engage.) The folks at Airbo are wonderful to work with and the product is fun and easy to use. They're launching new features based on feedback from their customers at an impressive speed.